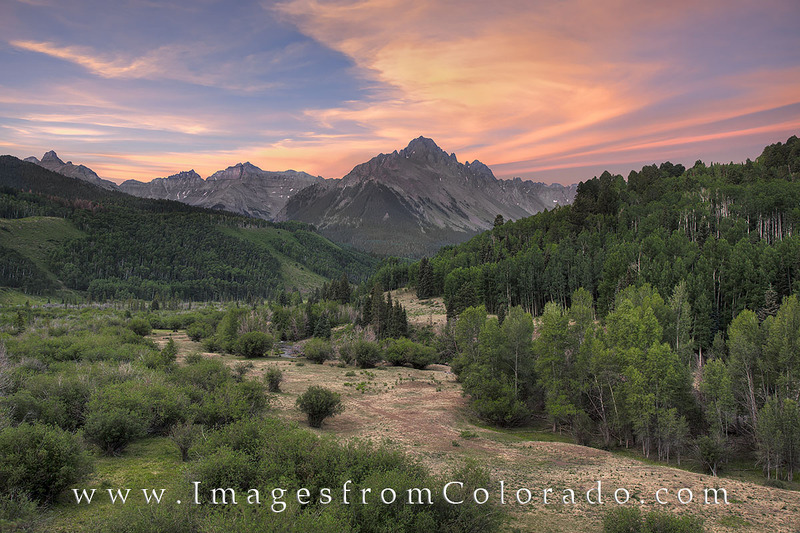 Mount Sneffels rises to 14,150’ and dominates the skyline near Ouray, Colorado, in the San Juan Mountains. This photograph was captured at sunrise while on the way to another hike in this beautiful area. Photo © copyright by Rob Greebon.